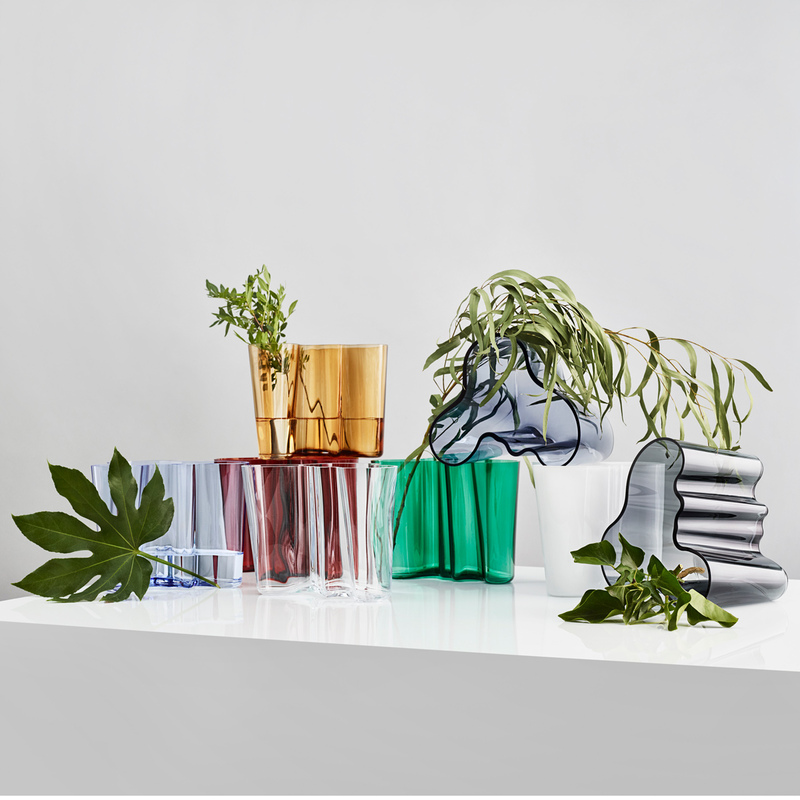 Home > Brand > iittala > iittala Home Accents > iittala Alvar Aalto Vases > iittala Aalto Emerald Vase - 6-1/4"
Home > Brand > iittala > iittala Alvar Aalto Vases > iittala Aalto Emerald Vase - 6-1/4"
Home > Shop by Category > Gifts > iittala Alvar Aalto Vases > iittala Aalto Emerald Vase - 6-1/4"
Home > Shop by Category > Living > Home Accents > Finnish Vases & Plant Pots > iittala Alvar Aalto Vases > iittala Aalto Emerald Vase - 6-1/4"
Home > Shop by Category > Home Accents > Finnish Vases & Plant Pots > iittala Alvar Aalto Vases > iittala Aalto Emerald Vase - 6-1/4"
Home > Shop by Category > Gifts > Gifts by Occasion > Unique Wedding Gift Ideas > iittala Alvar Aalto Vases > iittala Aalto Emerald Vase - 6-1/4"
More about iittala Aalto Emerald Vase - 6-1/4" A bouquet of fresh cut flowers will fall flawlessly into place in the iittala Aalto Vase - 6-1/4". Alvar Aalto designed the fluid lines of this vase in 1936, and they beautifully reflect the curving shores and rolling waves of Finland's many bodies of water. 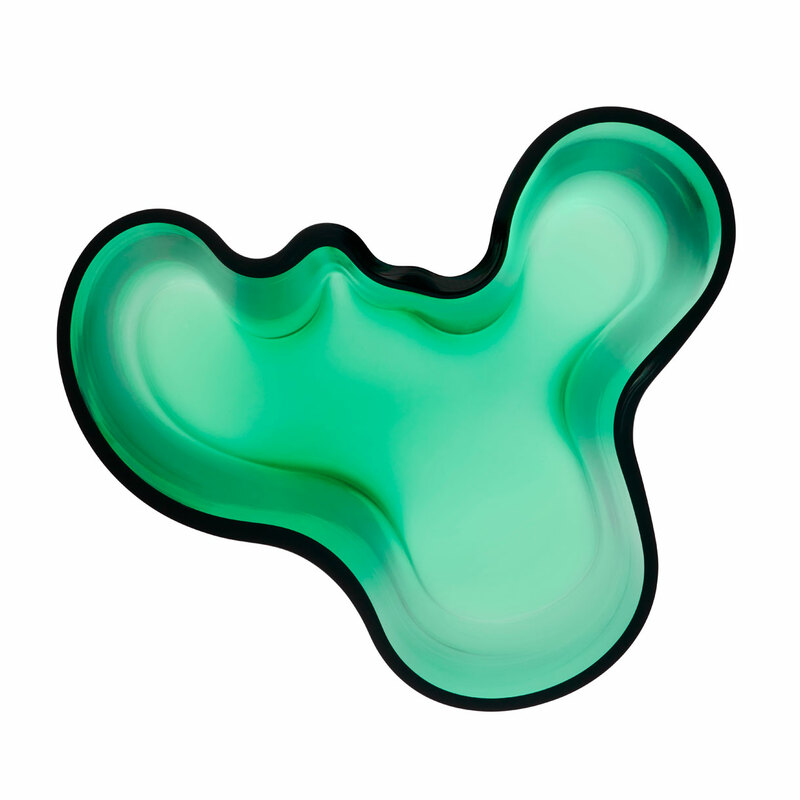 Saturated in the rich jewel tones of iittala's new Emerald color, this classic gets a breath of fresh perspective. 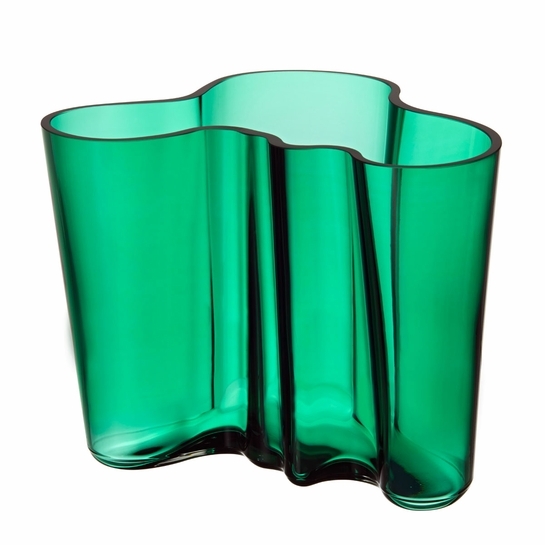 Specifications for iittala Aalto Emerald Vase - 6-1/4"
Product Reviews for iittala Aalto Emerald Vase - 6-1/4"
My house is filled with Scandinavian furniture and fixtures of every type and designer, but this is one of the most beautiful. It is larger and heavier than expected, with a wide flat glass edge along the top, bright and deep emerald green in color. Although not filled, it is sitting on a counter where I can see it all the time - I can't bring myself to put it away. 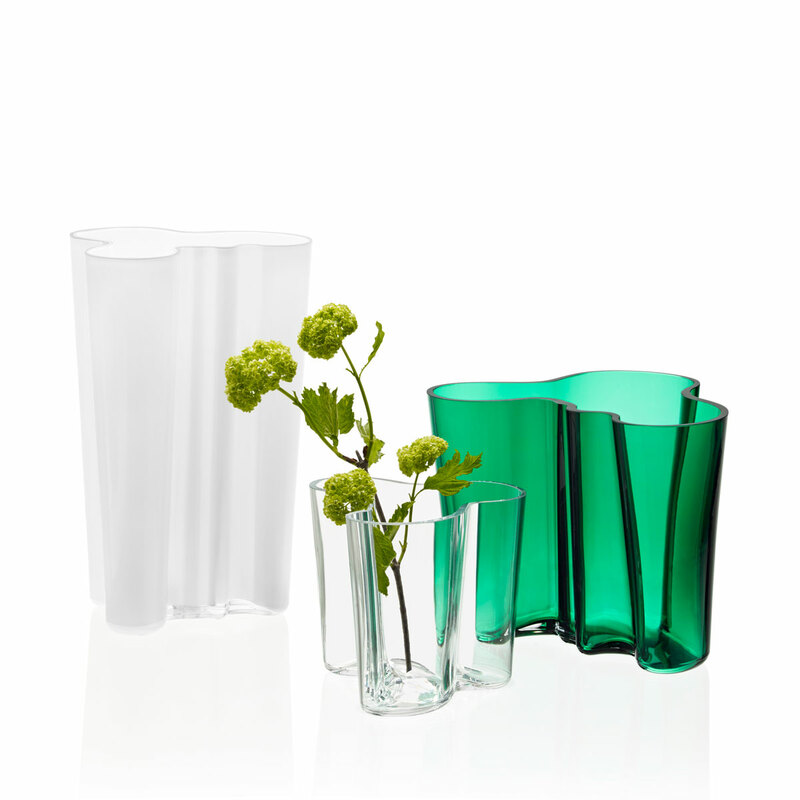 Questions & Answers for iittala Aalto Emerald Vase - 6-1/4"